More Speed: Revised rim profile for reduced aerodynamic drag developed by our advanced development team in Indianapolis, Indiana, USA. Better braking: Zipp’s ShowStopperTM textured braking surface delivers unrivalled rim braking performance in wet or dry conditions. Lighter Weight: The 404 Firecrest Carbon Clincher is 75 grams lighter than its previous iteration. For those who had to make a choice only one wheel, the 404 Firecrest Carbon Clincher is a savvy and rapid selection. With a depth and form proven in all prerequisites, it is the all-around performer and the usual in which all different wheels are measured. 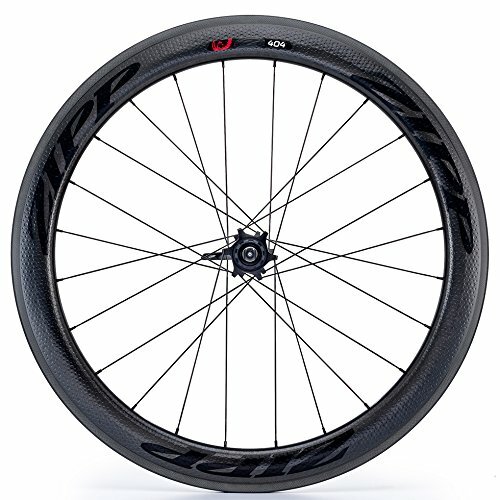 Its 58mm rim depth is a classic all-around performer that has carried athletes to victory in each and every more or less event and scenario – each and every triathlon distance, breakaways, field sprints and hilly finishes. More Speed: Revised rim profile for reduced aerodynamic drag evolved through our complex building workforce in Indianapolis, Indiana, USA. Higher braking: Zipp’s ShowStopperTM textured braking surface delivers unrivalled rim braking efficiency in wet or dry prerequisites. Contains fast-unlock skewers with a much wider more ergonomic care for to offer more leverage for opening and shutting. Whilst closed, lever contours smartly with the frame.